Interview with Carrie Turansky, Author of A MAN TO TRUST (Love Inspired) COMMENT FOR A FREE GIVEAWAY! It is my pleasure to feature Love Inspired author Carrie Turansky on my blog today. She is giving away a copy of her newest release, A Man to Trust. Answer the question at the end of the interview and leave your email address for a chance to win. We have to have at least ten comments to make a contest so make sure to pass the link on to your friends. Carrie is the award-winning author of nine novels and novellas. 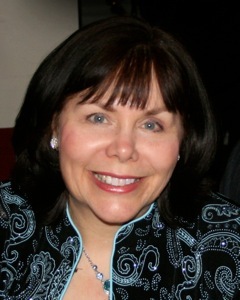 She writes contemporary and historical romance and has been a member of ACFW since 2000. Her latest releases are A Man To Trust and Christmas Mail-Order Bride, which won a 2011 Carol Award. Carrie, tell our readers a little about yourself. I’m originally from Oregon, but I’ve lived in New Jersey for the last twenty-three years. My husband Scott and I have been married for thirty-four years. We have five children and three grandkids. We are very involved in our church, and I love to mentor younger women and teach Bible studies. I homeschooled our children when they were younger, and I received a wonderful education in the process. When I’m not writing I enjoy cooking for family and friends, arranging flowers for weddings and special events, and working in my flower gardens. Well, we have at least three things in common–writing, homeschooling, and a love for cooking. Tell us three things about yourself that would surprise your readers. We spent eight years living in Hawaii and helped plant a church there. We also spent a year in Kenya as missionaries and have a deep love and respect for Kenyan Christians. I once wrote a love story in only 1000 words, and it was published in a short story collection. Yes, my love for reading started when I was very young. I had a great aunt who gave me the Newberry Award-winning book each Christmas for several years. I also visited the library often. Some of my favorite books were One Morning in Maine, Charlotte’s Web, Heidi, The Winged Watchman, The Witch of Blackbird Pond, The Bronze Bow, Little Women, Anne of Green Gables, and Daddy Longlegs. I loved sharing these books with my kids when I homeschooled them, and we read many of them aloud. Several of those books were my favorites, too, and I read them to my children when we homeschooled. As a child or teenager, did you ever dream of being an author? I did write a book when I was twelve. My mother helped me type it. She wrote articles and loved collecting family stories, so I credit her with helping me develop my early interest in writing. I was writing as a child, too. Now I know you must have a funny side. What is the quirkiest thing you have ever done? Probably the quirkiest things I’ve ever done was chase giraffes across the Great Rift Valley in Kenya. They are amazingly graceful when they run. That was a fun and crazy experience. I love giraffes! Of course, I have only seen them in the zoo. What is your favorite genre to read? I love to read inspirational romance, both historical and contemporary. I also enjoy women’s fiction, historical and contemporary novels. I’m almost an empty-nester, so I have a lot of freedom to plan my days and focus on writing for several hours at a time. But I also love to walk around the lake near our home, work out in the yard, spend time with girlfriends, and enjoy a good cup of tea. I’m almost an empty-nester, too. It’s great to have time to plan and live out your dreams. How many books do you have published and where can they be found? I’ve had nine books published and one more contracted that will come out in November this year. All my books are available at bookstores and online through Amazon, Barnes & Noble, Christian Book.com, and my website. My newest book is A Man To Trust published by Love Inspired. It is a March 2012 release. Here’s the back cover description: After years spent helping run her family’s Christian bookstore, it’s time for Adrie Chandler to give her own dream of playing her flute professionally a chance. But can she really trust the beloved shop to new manager Ross Peterson? The man is too charming and too much a reminder of another dream Adrie had to let go of – marriage. Yet Ross surprises her by knowing a thing or two about making sacrifices. Suddenly, Adrie is questioning what she really wants. And whether the dreams she once thought unlikely are within reach after all. Here’s a little sneak peek at the first chapter! A Man To Trust is my third book for Love Inspired and the second book set in Fairhaven, Washington, which is the historic section of Bellingham. It includes a group of four senior-age women friends known around town as the Bayside Treasures. These ladies love to get together each week at Bayside Books to play Scrabble and hatch matchmaking plans for their younger relatives and friends. The first book set in Fairhaven is titled Seeking His Love. The third will be Snowflake Sweethearts, which will be published in November 2012. I can’t wait to read these books! What inspired you to write this particular book? I wanted to tell Ross Peterson’s story. He was the best friend of the hero in Seeking His Love, and I thought he deserved his own book. The heroine was inspired by a friend of mine who is musician and music teacher. How long did you write before you sold your first book? I started writing in 1997 after our family returned from spending a year in Kenya. I’d written reports, essays, devotionals, and articles, but writing fiction is quite different. I had a lot to learn. I joined ACFW in 2000, and that was the turning point in my career. I found a mentor, an agent, and learned more about the craft of writing fiction. My first book was published in 2005. I am a member of ACFW, as well, and I can testify to the fact that there is much to be learned from the authors who frequent the loops. They are so willing to help people with their writing. So what are you working on right now? I just turned in Snowflake Sweethearts to my editor at Love Inspired. I am taking a short break and then I’ll jump back in and start my next book. I get ideas from many different places: newspaper and magazine articles, events in the lives of friends and family, brainstorming sessions with other writing friends, and research. I love to research online, looking at locations, occupations, and all kinds of news stories. I usually look online at lists of baby names and check the years around when my character would’ve been born. I create a list and then see what fits. I do the same thing! In three words describe your style of writing. I’d say heartwarming, hopeful, and romantic. I like to use character worksheets and books from Susie Warren at My Book Therapy. She takes you through a series of questions that help you get to know your characters and build your plot. I also like Michael Hague’s DVD’s for the Hero’s Two Journeys. These are great resources. Thanks for sharing. Now when it comes to your writing, are you a plotter, a pantster, or somewhere in between, and can you elaborate on your answer? My publishers require pretty detailed synopses, so I have learned to be more of a plotter, but I still like to leave some room for surprises. Forgiveness is a theme that often comes up in my books. In a Man to Trust the themes included the value of friendship, learning to find God’s will for your life, and discovering the place your gifts and talents have in your life. I’ve already asked you about your day-to-day happenings but what is your writing schedule and where do you write? My best writing time is in the morning, so I try to write from 9:00 – 12:00, then take a break for lunch and write for three more hours in the afternoon. I don’t write well in the evening, so I try to use that time for other things. But each day is different, and when I have a deadline I may have to write in the evenings too. I am a night owl and work best at night. But evenings are usually noisy with the kids home and the TV on so I have learned to adapt. Does your faith affect your writing? How? My faith and Christian worldview are very important in my writing. I like to take my characters on a journey of discovery. They usually start with some issues, pain, or problems that are causing trouble in their lives. Then I like to show how God works in their lives and situation to help them grow and discover His truths and how to overcome those problems. The faith threads weave the story together and are key. I am constantly adding in things I have been learning from my own studies and lessons God has been teaching me. Such a beautiful message. Is there any scene in your book that came from a real-life happening? One scene in a Man To Trust that comes from my own life is the flat tire on the freeway scene and the hero coming to the rescue. My husband did that for me, and I think it’s a very sweet romantic memory that I wanted to include in this story. I started entering contests before I was published as a way to get feedback from judges. It was very helpful and encouraging. I’ve been a finalist in many contests including the ACFW Genesis and Carol Awards, The Inspirational Readers Choice Awards, and The Tara Contest. I’ve been the winner of an ACFW Carol Award, and A Crystal Globe Award. I always encourage aspiring writers to read the genre they want to write and read other genres too. When you love a book take time to ask why and learn from that. Keep writing. Many writers will spend years revising that first book and never move ahead. Finish one book, and then write another. I wrote four novels and two novellas before one was published. You learn to write by writing, revising, attending conferences, joining critique groups and writing some more. Keep going and don’t give up. I’d love readers to visit my website. I have a special page devoted to each book with photos, recipes, interviews, reviews, and more. They can read the first chapter of my books, and see all the latest writing news and photos. I have tips for aspiring writers there, and I have a signup for my email newsletter. I’m also active on Facebook, Twitter, and Pinterest. I have a board for my three newest books. You can see the setting and characters. Thank you, Carrie, for stopping by and telling us about your books! What’s one of the best books you’ve read in the last few months? Please answer the question and leave your email address so we can contact you if you win. What a great interview! Carrie, I can’t wait to visit your website and read some of your books. The best book I’ve read recently Chasing Rainbows by Kathleen Long. It’s a self-published chicklit novel about coming to terms, living life, and not giving up. Hi Sherri! Thanks so much for posting this interview. These were great questions! I appreciate the opportunity to connect with your blog readers! Another great interview, Carrie. I always learn something new from you. If you haven’t purchased A MAN TO TRUST, order or purchase it now. Carrie’s writing is always lovingly crafted with characters you’ll fall in love with! Thanks, Terri! I appreciate your kind words about A Man To Trust! Thank you so much for the contest!!! One of the best books I have read latley is ” Ella Finds Love Again” by Jerry Eicher. I have not read any of your books but I would love to win and read this one!! I reallyt enjoyed your interview!!! Thanks again!! Hi Molly, thanks for stopping by and for telling us about Jerry’s book. I haven’t read that one yet. I always like to hear what people are reading and enjoying! Enjoyed your interview. I can’t imagine running after giraffes, how fun. I’m currently re-reading “The Scarlet Letter” and I’ll have to say that’s the best book I’ve read in a couple of month. How does one top Hawthorne? I also read “Jewel of Persia” recently and thought it was a very good read. Hi Pegg, thanks for stopping by. I read The Scarlet Letter in school a long time ago and still remember it well. I’ve seen Jewel of Persia, but not read it yet. Thanks for the recommendation! What fun to learn more about Carrie and her interesting life. I can only imagine chasing giraffes! There must be a great story behind that. I’ve read “A Man To Trust”–and loved it! All of Carrie’s books lift my heart and remind me of the refreshing qualities of human love as God designed it. Thank you, Sherri, for interviewing Carrie and posting. You have a fantastic blog banner–what a lot of stories such a building inspires! Hi Cathy, thanks for stopping by! I like Sherri’s banner photo too. So unique! Thank you Cathy! I loved that photo too. 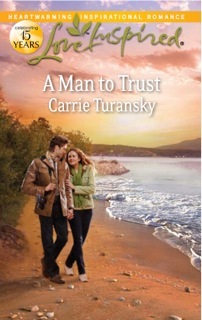 Interview with Carrie Turansky, author of A Man to Trust, and a chance to win a copy! I am reading Highland Crossings right now with four authors – Laurie Alice Eakes, Pamela Griffing, Jennifer Hudson Taylor and Gina Welborn. I am reading it to review it and share it with others. I like to see others get uplifted and encouraged so when I review a book or win one and review it, I share it with someone I feel led too. I haven’t read one of yours in some time Carrie but would love too. One of the best books I have read lately is Ella Finds Love Again by Jerry Eicher. I would love to win and read your book!! Thank you for the chance! !